Rianna Nektaria Kounou and Nina Kuhn had a brilliant idea, they use silk fabrics that in an assortment of kimonos, tunics, long dresses and jackets create a most wanted fashion piece. The prints look like vintage Pucci, Hermès and Valentino, some of them actually are as they source the materials from vintage scarves and fabrics, —hence why they looked so recognizable. 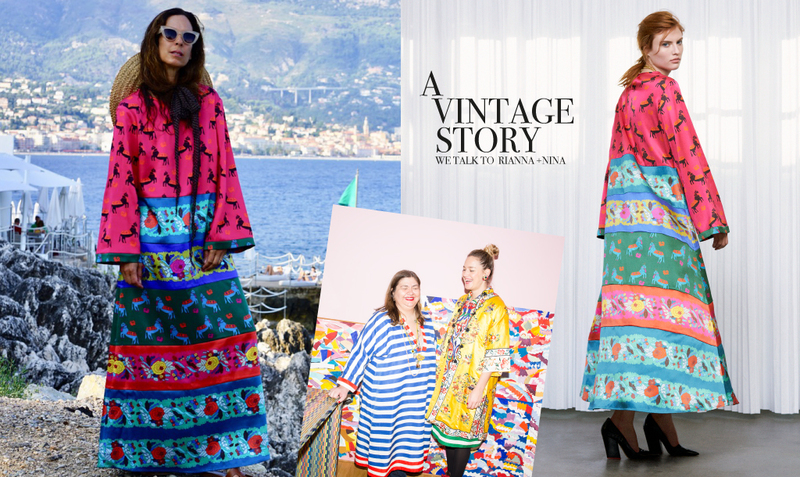 With their Kimono jackets and caftan dresses they create a new language which became a modern version of sustainable fashion, being officially chic, as they made it to Bergdorf Goodmann and Moda Operandi online shop, just to mention a few. IRMA: When did you develop your love for patterns? RIANNA NEKTARIA KOUNOU: It was always in me. My parents did always deal with vintage fabrics, my mum is a jewellery designer, we had a costume rental in Athens when I was a kid and a vintage store later. I was always surrounded by fabrics and rare materials; my mother had found to create something out of it. My whole life is about patterns and also my home is a colourful treasure box full of flea market finds and curiosities. When I met Nina, it was fun to see that there is someone who shares this same passion, even though she has a totally different background. We always say it was meant to be that we have met. IRMA: How did you meet each other and started your beautiful project? NINS KUHN: We met 5 years ago on a vintage furniture fair in Berlin. We both had a passion for vintage. When we bumped into each other we were both dressed in a similar style which immediately caught each other’s attention. We started talking and directly felt a strong connection. A few fun Greek dinners at Rianna’s home with her family we knew that all we want is start building something together and we knew it has to do with vintage and special and rare fabrics. In 2014 we decided to open a small store in Berlin and started selling those pieces and selected interior items. From the beginning it was very important for us that the quality is superb and the pieces are handmade in Berlin. They had to be a one-of-a-kind, vintage design and unusual colour combinations made them special. Quit quickly we had clients from all over the world through word of mouth. IRMA: How did you motivate yourself to follow your dream when times get rough? NINA KUHN: We have just totally believed in ourselves, our partnership and our ideas from the beginning. We really love what we do and got luckily wonderful feedback from so many people, which said, there is something special about our pieces. 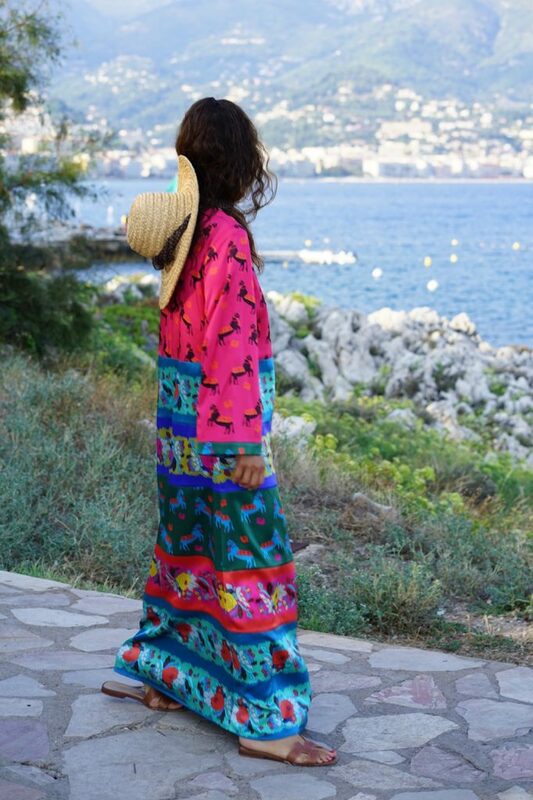 For example, we have seen so many of our Kimonos now and if a new one is done, we are still getting so excited and make jokes that we can’t sell it, because we have to keep it in our closet. This is the best motivator: the love for the product and the excitement that it brings. IRMA: What does it mean to your brand when Jared Leto wears a piece of your collection on stage? RIANNA NEKTARIA KOUNOU : Of course it was great when we got contacted by his stylist telling us, that he is in love with the brand and would like to order some styles for his tour. We didn’t meet him yet, but he seems like a very fun, creative and open-minded guy who has fun experimenting with Fashion. And this is what Fashion should be about: play with it, express yourself, have fun and don’t take yourself too seriously. IRMA: Do you ever need a break of wearing prints. Can you tell us how to mix your prints with more simple pieces when you are too overwhelmed? Some styling ideas would be great. 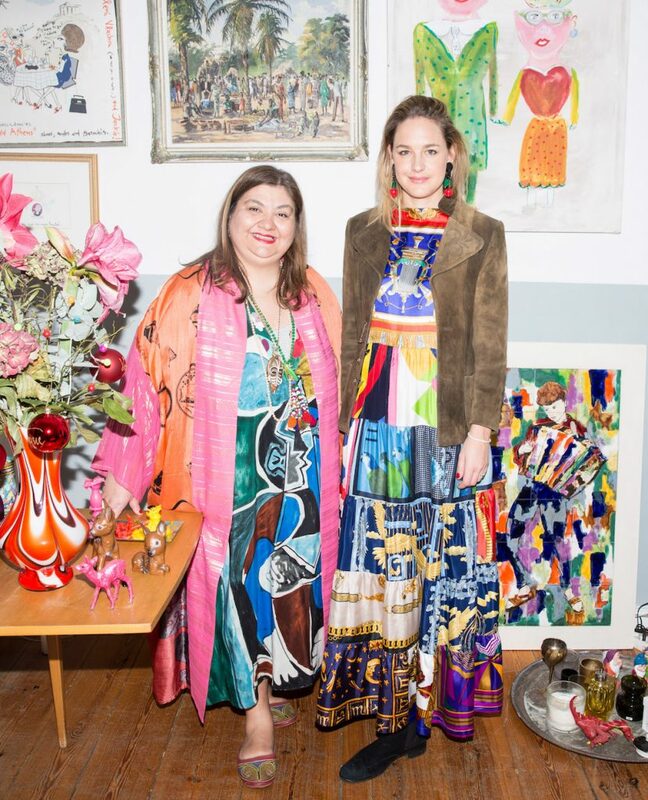 NINA KUHN: We don’t think like that at all because wearing prints feels totally normal for us. We have always been like that, also before we had our brand and it doesn’t matter if we go to an event for Paris Fashion Week or to the supermarket. Of course, not all our clients are like that and styling our pieces with more simple elements looks fantastic as well. If you wear a black dress or pair of simple jeans and a t-shirt and put a colourful Kimono on top, you are ready to go. And also, our own print collection can be easily combined with calmer pieces. If you wear our Claudia blouse with a nice pair of pants you will feel so special and beautiful, that’s guaranteed and a feedback we get from so many clients that say, ‚I never got so many compliments on something than wearing something from you’. That makes us so happy! If you could pick just ONE piece of your collection that should be in every closet- which one would it be? RIANNA NEKTARIA KOUNOU : Very difficult because there are so many favourites. Right now, it would probably be our Volant dress, made of up to 30 different vintage scarves. It’s like a wearable piece of art and it makes looking good so easy. You can wear it with sneakers, sandals or heals, elegant at night or easy styled with a jeans jacket and you will always look stunning.